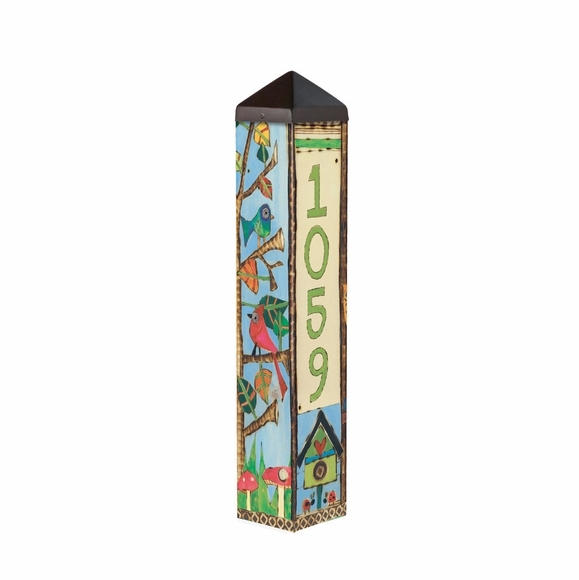 Personalized Address Pole - - bird theme personalized house number art pole -- fun, funky, 2' tall. Made in USA. Colorful birds and birdhouses on all sides. Personalized address pole and garden art.